A treadmill is a great way to maintain an active lifestyle without having to worry about the weather outside during your workout. With models aimed at beginners right through to professional runners, there are a lot of options out there, and choosing can be tricky. We understand that treadmills are an investment, and therefore to help you make the best choice for your own fitness needs, we have put together this buying guide detailing everything you need to know about choosing the right treadmill. Manual treadmills: Manual treadmills are powered by walking and require getting off the machine to adjust intensity or incline. They are quieter than their motorized counterparts and take up less space. 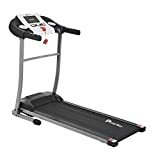 Manual treadmills are suitable for seniors and beginner runners because they are easy to use and are controlled solely by the pace of the user. 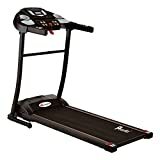 Folding treadmills: Folding treadmills are manual treadmills that can fold up for easy storage. 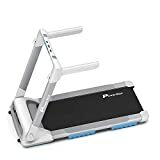 They are great for people who have limited space because they are light, compact, and easy to store for a small home gym with the ease of use of a manual treadmill. 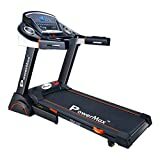 Motorized treadmills: Motorized treadmills are electric powered and include a variety of added features such as workout programs, motorized adjustable intensity, incline, speed, and heart rate monitors. These machines are larger than their counterparts and can support a larger amount weight. Quiet: The top rated treadmills make almost no noise when in use. Consumers rate treadmills that are quiet but still powerful the highest. Manual and folding treadmills offer the quietest options. Compact: Reviewers who have limited space prefer the ability to fold up and store folding treadmills when they are not in use. Some of the top rated treadmills are easy to neatly store out of sight after a workout. User friendly: The top rated treadmills only require minimal setup out of the box by consumers. 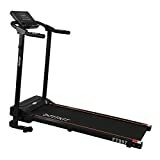 Reviewers rate the treadmills that take the least amount of time and have the easiest assembly highest. 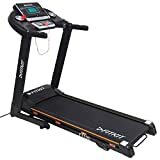 They are also the most satisfied with treadmills that can be used by multiple members of a household with quick and easy adjustments to settings. Service: After purchasing a treadmill, customer service is a big concern for treadmill reviewers. Treadmill brands that offer good customer service are rated the highest of all brands. If service is a concern for you, then choose a reputable brand that offers better customer service. Consider your height and stride length when deciding on a treadmill. Tall users will be more comfortable using motorized treadmills because they are longer. Decide what features are important for your workout. Some treadmills can track health vitals and goals such as heart rate and calories burned. There are also added features for workout, weight loss, and cardio training programs. Higher end models even have smart phone or e-reader docks to keep you busy while exercising. Keep in mind how often the treadmill will be used. If multiple members of the household will be using it each day, then you should choose a higher quality treadmill with more durability. It’s important to have an idea of where you plan to keep your treadmill and how much space you have allotted for it while shopping. Look out for the treadmill’s dimensions so that it will definitely fit where you want it to go. When shopping for a treadmill, you should consider your fitness goals. Some machines are better suited to running, while others are better for walking. 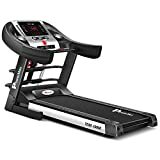 If you’re looking to do both with your treadmill, then decide on a machine that is long enough to accommodate running strides and powerful enough to resist the added pressure of walking. If you choose a motorized treadmill, then machines with a horsepower of 2.5 - 3.0 will give you smooth, continuous motion. Sole Fitness: Sole treadmills are the preferred treadmills of hotel gyms, and their products are known to withstand the intense use and conditions of hotels and their guests. 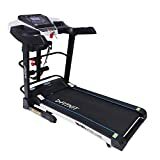 Sole Fitness has become a very fast growing manufacturer of fitness equipment over the last 5 years and they specialize in constantly improving fitness engineering and technologies. Weslo: Weslo is part of the parent company ICON Health & Fitness. Weslo’s style is fitness for real people, and they specialize in helping people take the first steps toward a healthier lifestyle with their treadmills, ellipticals, stationary bikes, and fitness accessories. Pro-Form: Pro-Form is part of the ICON Health & Fitness parent company and they specialize in high-tech treadmills and other fitness equipment that can help you attain your fitness goals. LifeSpan Fitness: Since 2001, LifeSpan Fitness is dedicated to bringing fitness and health to individuals at home, at the gym, and at the workplace. They specialize in home and commercial fitness equipment with quality hardware and innovative technologies such as treadmill desks, under the desk treadmills, and more.